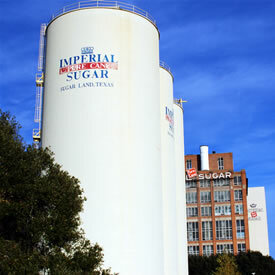 Do you own a Sugar Land-based company? Are you looking for an effective search engine optimization team with professional web design experience? Houston Web Design Agency is a full-service website design company that services Houston and surrounding areas. Our services include: keyword research, SEO-friendly content development, blogging, article marketing, link building, and custom website design and development that aims to boost sales and cultivate brand loyalty. We serve customers countrywide, utilizing the Internet to communicate with each client, regardless of their location. We are a team of experienced internet marketing specialists, SEOs, graphic designers, website developers and project managers who are ready to make your online property a success story! Call 281-764-9070 for a FREE SEO and Web Design Quote! At our web design & SEO agency, we have been in business for many years and have launched hundreds of websites. We have the experience needed to build a website for your Sugar Land area business that will help you to effectively communicate with your target audience and boost profits. Are you frustrated with your current Sugar Land area based web design or internet marketing company? Is it a challenge to get them to return your calls or provide maintenance in a timely manner? We pride ourselves on making sure our clients receive excellent and prompt service. We believe these standards help to build long-term business relationships with our clients. Our Sugar Land web design and SEO agency values things like integrity, professionalism, and a strong work ethic. Don’t take our word for it, we invite you to contact any of our current or past clients to ask about their experience. Call 281-764-9070 for a free consultation. Are you looking to promote your website in the search engines? Popular search engines like Google, Yahoo, or Bing, generate thousands of results. Research shows that users rarely venture beyond the first page of those results. How do you position your website at or near the top of that list? The answer by having your website professionally optimized by a Sugar Land, Texas SEO company that utilizes White Hat SEO techniques. Call 281-764-9070 to learn how your business can benefit from the expertise of a real SEO company! What is standards-based website design and why is it important? There is a governing body of organizations called the World Wide Web Consortium (W3C) that defines what website standards are for all web design companies. In turn, these standards are important to website design companies and website owners because following these standards helps to assure cross-platform and cross-browser compatibility. Another important reason to follow website standards is to gain a competitive advantage in search engine optimization. At our Sugar Land web design and SEO agency, we adhere to these standards by hand writing web code and validating our web code to ensure maximum compliance. Call 281-764-9070 for a free assessment of your website’s compliance to the website standards. Call 281-764-9070 to learn more about our state-of-the-art content management systems. At Houston Web Design Agency we care about your website’s success so we develop, maintain, and market it as if it were our own. Our CMSs are available for clients who would like to maintain their site on their own. We are always available to assist with any questions you may have. Our number one goal is customer satisfaction. We have a variety of safe and secure hosting plans. Each account offers two automated backups each day, mirror hard drives, and WebMail. Give our search engine optimization experts a call at 281-764-9070 today or fill out our form below to set up a complimentary website review and SEO quote.